Dogs Helping Heroes is a local nonprofit organization dedicated to helping our wounded heroes and the families of those who have been lost in service to our Nation. The organization was born when a professional dog trainer, David Bernson, noticed how much a service dog was helping his brother-in-law, a wounded veteran, live a fulfilling life. Today they rescue dogs from shelters, train them as service animals, and place them with wounded military and first responders. The mission of this organization is to improve their lives, as well as to help Gold Star Families cope with their losses. We are proud to help this Louisville based organization! Read more at the link about Dogs Helping Heroes, or how you too can help this incredible group. Check Out Our Promotion On WHAS-11. Spring has sprung, and the weather is finally warm! Are you ready to open up your home to the outdoors? Indoor/outdoor living is key in warmer months, and can translate well in the colder months too. Scenic doors are becoming increasingly popular, offering extended openings with a large covering of glass that increases the natural light flowing into a space and allows for expanded views of the outdoors. 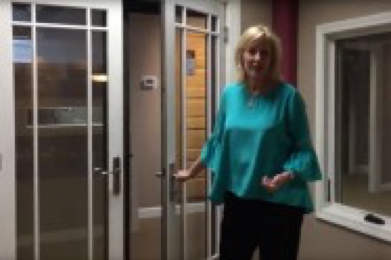 Budget: A scenic door is larger than a standard patio door – starting at 9’ wide going up to 40’ wide and 10’ tall – so they will cost more than regular swinging or sliding doors. Primary function: Will the door be used for entry/exit or primarily as a space divider? Options like the Marvin Ultimate Multi Slide Door is a panoramic door that offers expansive views, but may not be practical if being used as a primary point of entry. Opening: Is the existing opening large enough, and the wall deep enough to accept a scenic door? 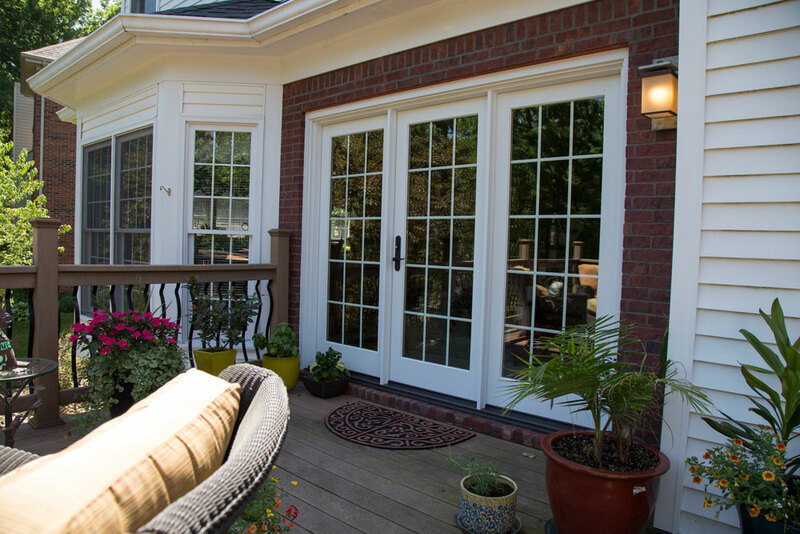 Most homes do not have the large openings required to receive these larger doors. A remodel or new construction project each offer perfect opportunities to achieve the open feeling of bringing the outdoors inside a great-room or kitchen. 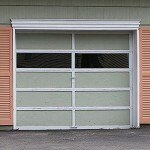 Proper overhang: Marvin Scenic Doors are designed to keep the weather out. But, since these are very large doors, extreme weather could be a factor. 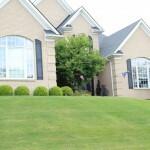 A proper overhang will help protect your doors and home from the elements. 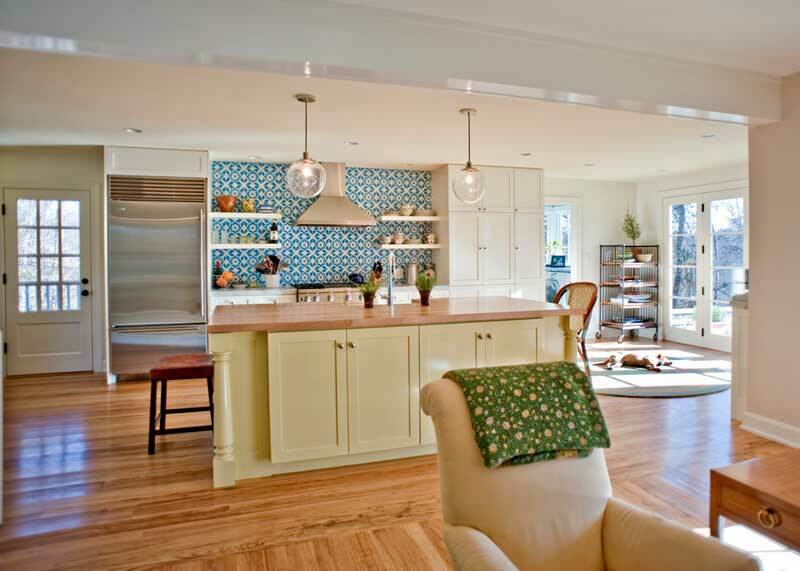 Style: Is your architectural design more contemporary or traditional? With the array of options available, this is a deciding factor. Our design team is happy to help with your selection. 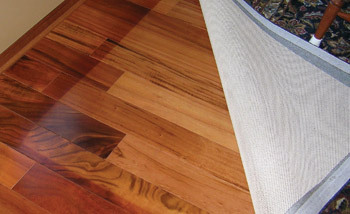 Floor covering: Will the floor be the same inside and out or will the door separate two different floors? Ideally the flooring will be the same height on both sides of the door. If they will be different, you will want to consult with your builder/remodeler on your best options. 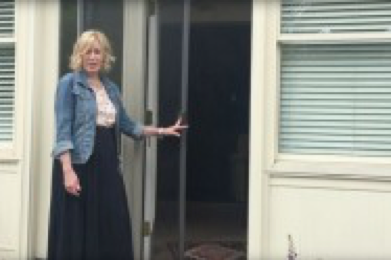 “The impact these doors have on a home is difficult to explain. I met a builder and homeowners at their home to discuss some hardware issues. The builder and I were talking as the homeowners arrived. They walked to their new Bi-fold door going from the family room to the patio and I could not count the number of times they said WOW. Clearly this would be the focal point of their home.” – Jim Platt, New Construction Specialist, Door Store and Windows. Ready to make this kind of impact in your home? Give us a call. Our country is blessed with able bodied men and women who answer the call to serve and defend our land and freedoms. Memorial Day is a day for us to remember those who have died in our country’s service. So many have served, many have died and many have returned, but few unscathed by their experiences. We give thanks to them all. To give our team time with their families to remember their loved ones who have served, we will be closed for Memorial Day, Monday May 28 and will reopen at 9:00 Tuesday morning. If you’ve ever shopped for windows, you probably wondered whether you need low-e glass or if it’s just some marketing mumbo-jumbo. “Low-E” refers to low emissivity. Well, emissivity is a measure of how easily a surface transfers radiant thermal energy…the heat absorbed by objects. Low-emissivity means the surface transfers radiant thermal energy at a low level. heat. In the summer, it keeps your home cool by reflecting away the heat radiating from sidewalks, driveways, patios, decks, and other objects that absorb heat. In the winter, it keeps your home warm by reflecting the radiant heat your furnace system worked so hard to create back into the house. For example, compare low-e glass to aluminum foil. Foil reflects heat back toward the food to keep it warm. If you covered your windows with foil, your room would be cooler in summer and warmer in winter. But the view wouldn’t be so good. Low-e glass to the rescue! carpeting, drapes and upholstery fabrics caused by ultraviolet (UV) and other damaging rays, by blocking about two-times more UV light than clear, single-pane glass. Available on doors, too! – Doors can also benefit from low-e glass. We’ve seen examples of indoor rugs that completely faded in front of a full view door and wood floors that faded compared to the same floor underneath an area rug. The more glass on the door, the more important low-e glass becomes. 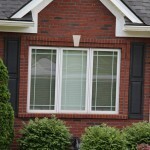 Our window and door experts can help you determine the right glass to use for your situation. Call us to get started. Check the weatherstrip on your doors and windows. This is typically only considered in the winter to prevent drafts, but an improperly sealed window or door can let summer heat into the home, too. Install awnings, overhangs or shades over windows or doors that get extreme sun exposure. A combination of minimizing sunlight and adding low-e glass is the best way to reduce unwanted heat gain. Use window, ceiling and whole-house fans to keep your home a little cooler. 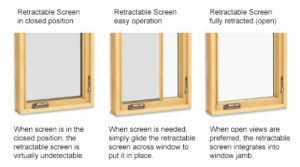 Looking for replacement windows? 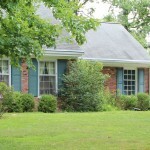 We recently wrote a blog about how much you should be spending when replacing windows in your home. Read it here! https://doorstoreandwindows.com/wp-content/uploads/2014/09/WOOD-2011-10-JAH_2893.jpg 571 800 admin https://doorstoreandwindows.com/wp-content/uploads/2017/11/Transparency-Logo-2-300x181.png admin2018-05-15 16:07:442018-09-28 13:46:02Does Low-E Glass Help? We spent a couple of days last winter getting this patio door ready for the outdoor season in Louisville. 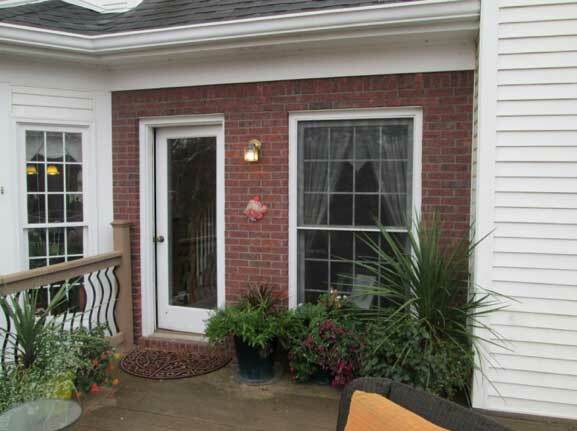 The original patio door (shown above) was a single door with a window to the side – not exactly a show stopper. With fantastic deck space, the home owners wanted something more dazzling to transition from indoors to outdoors. So we helped them design this beauty. 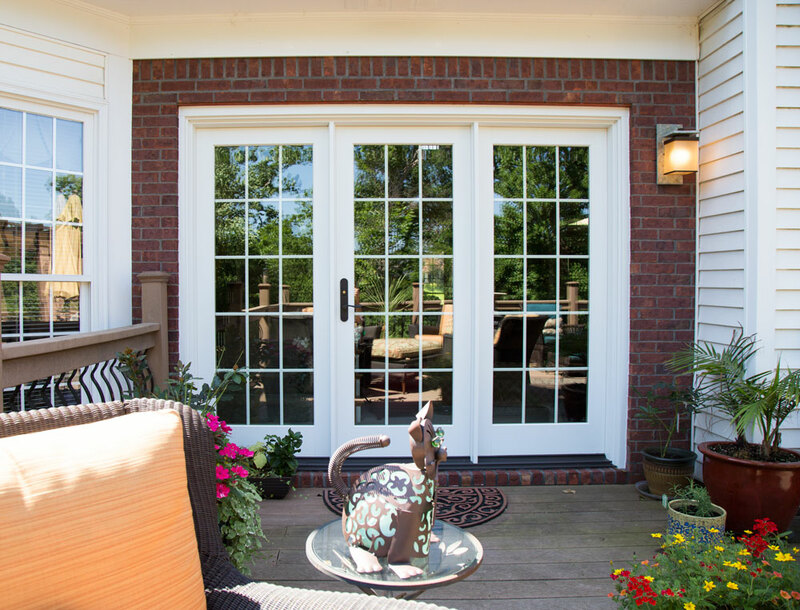 Basically, a door with two full width sidelites, this patio door truly transforms the space between indoors and outdoors and better suits the deck space in scale and size. And when the homeowners saw it for the first time, they fell in love again with their patio space. Our employee-installers are experienced craftsmen and created a new opening that looks like it belonged on the house all along. And what they do behind the scenes during installation is what creates real value in this door project. Preparing the door opening to accept the door involves more than removing some bricks in this case. Proper shimming and weather barrier installation will prevent moisture and rot and is how we are able to provide a lifetime installation warranty…part of our Worry-Free Guarantee. 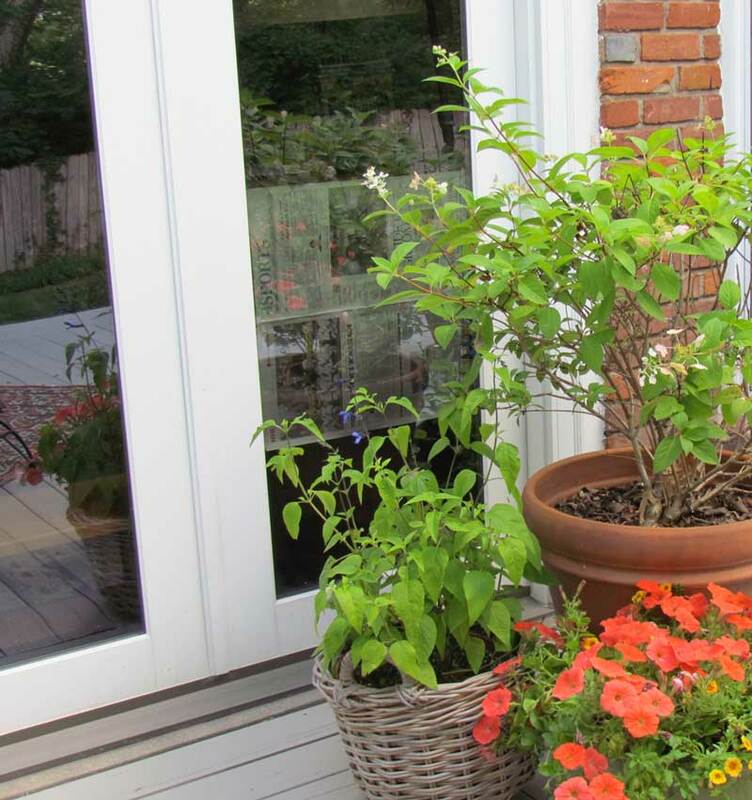 Call today to get your patio door project ready for summer and fall. Our design consultants are here to help you get exactly what you want. 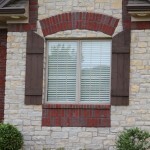 Exterior window shutters have a long history gracing windows before glass was readily available or affordable. Wood shutters served to protect the window opening, provide privacy, add additional insulation during winter and block the sun in the summer. As window technology has improved, shutters are used less for these purposes and more as a decorative feature for your home’s exterior. 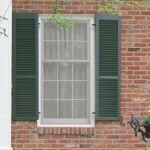 Shutters are available in operable and non-operable styles. Design selection, sizing and installation is very important for operable shutters, especially for maintaining historical accuracy. If you have a home that calls for operable exterior shutters or if you have an older home and you want historically correct shutters, come see us to discuss your options. We would really want to see your home as part of the shutter selection process. The shutter that is historically accurate for a Victorian home is not the same shutter for an Arts and Crafts home. 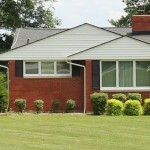 Check out homes in your neighborhood and decide which style works best for your home. Many of today’s architectural styles are based on historic styles, so keep your home facade true to it’s architectural style. Louvered – Historically accurate installation will call for louvers to offer rain protection when closed. We’ve become so accustomed to shutters remaining open that today’s louvered shutters are often installed so that rain protection is provided when open. Not exactly useful, but visually, we’ve grown to accept this look. Louvers can be fixed or movable and can be designed as full louvered or louvered/panel combination. Board and Batten – Generally consisting of several boards mounted vertically with horizontal or “Z” cross bracing and traditionally used on barn-styled homes for a rustic country feel. 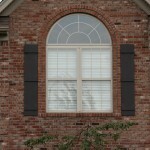 Solid Panel and Raised Panel – Panel shutters are identified by the number of panels on each shutter. 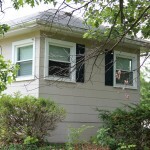 Three panel shutters generally have a small panel on top, a larger panel in the middle and the largest panel on the bottom. Panel sizes can differ based on the size of the shutter. 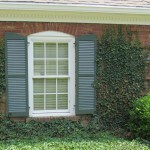 Bermuda or Bahama – These shutters are mounted much like an awning over the window. Generally found in coastal areas, bermuda shutters offer a Caribbean style with protection from the hot rays of the sun. Shutters should be sized to cover the window if closed and convey the believable appearance of actually being usable even if theyare non-operable. 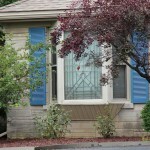 Also, the shutters should mirror image the window. Rails should line up with the lock rail, transom, muntin or other architectural elements of the window. 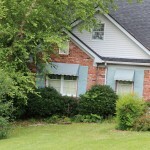 Often, we see shutters mounted upside down…probably a careless reinstall after painting or maintenance. Shutters are available in a variety of materials including wood, pultruded fiberglass, high density structural PVC and other composite materials. Wood provides an authentic look and many people love the unique character multiple coats of paint give a old wooden shutter. Shutters can be made with from woods such as cedar, cypress and African mahogany for decay-resistance while composite materials can offer you freedom from painting and other maintenance. 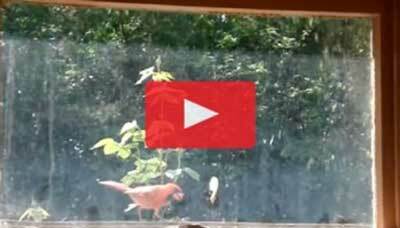 Are Birds Attacking Your Windows? Have you ever heard a repeated thud on your window only to find out it’s a bird? This is not the occasional strike when a bird inadvertently hits a window…this is a repeated and deliberate attack on your window. When a bird sees its reflection in a window, it perceives the reflection as a territorial rival. During spring and early summer when birds are defending their breeding territories, window attacks pick up. After the breeding season has ended (as late as August depending on the number of broods), the aggression will wane and the attacks will lessen. Bird species that are very aggressive or territorial are most likely to exhibit this behavior. 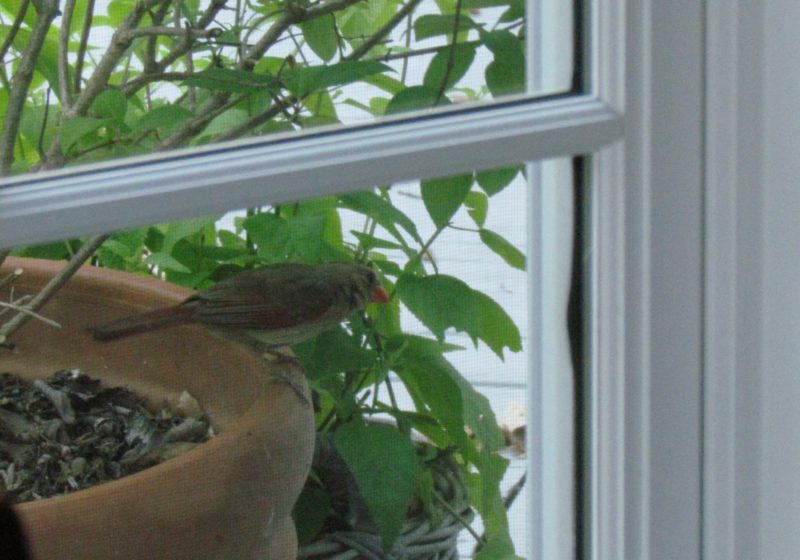 In the Louisville area, cardinals and robins are highly territorial birds while swallows, starlings, finches and sparrows are also known to strike at windows. …but other bird behavior is downright terrifying! What Can I Do To Prevent the Attacks? While you may want to keep the bird from injuring itself, the good folks at the Massachusetts Audubon group suggest that, usually, the best course of action is to do nothing and wait. But if the behavior is disruptive to your daily life or is causing obvious injury to the bird, the key to stopping the attacks is to break up the reflection the bird sees so it does not feel threatened. Pull down your shades. White curtains or blinds can prevent birds from seeing their reflections. 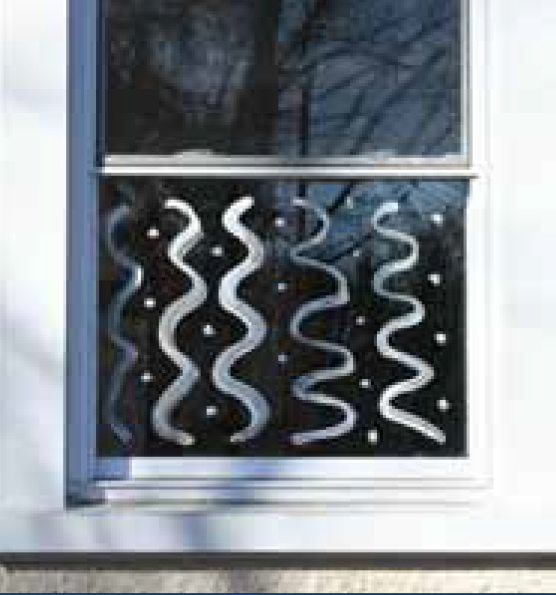 Use a bar of soap or tempura paint to draw large patterns on the outside of the window to break up the reflections. Place painter’s tape, decals, sun catchers or other objects closely together (leave no clear areas larger than 4″ wide x 2″ tall) on the outside of the window. Place non-reflective screen or netting outside the window at least 2-3 inches from the glass. Add one-way transparent film or opaque, cloudy plastic (medium weight plastic painter’s drop cloth works well) to windows. Move bird feeders or bird baths away from the problem window. https://doorstoreandwindows.com/wp-content/uploads/2018/05/IMG_4796-e1529587590406.jpg 560 800 admin https://doorstoreandwindows.com/wp-content/uploads/2017/11/Transparency-Logo-2-300x181.png admin2018-05-15 14:17:122018-06-21 17:38:55Are Birds Attacking Your Windows? 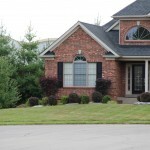 Window or door screens are an absolute must in the spring and summer in Kentuckiana. They allow us to enjoy breezes without having to worry about bugs and other unwanted critters. Unfortunately, they can get noticeably dirty with dust and grime build-up. And if you think of them as a filter for the incoming fresh air, you’ll want your screens as clean as possible. 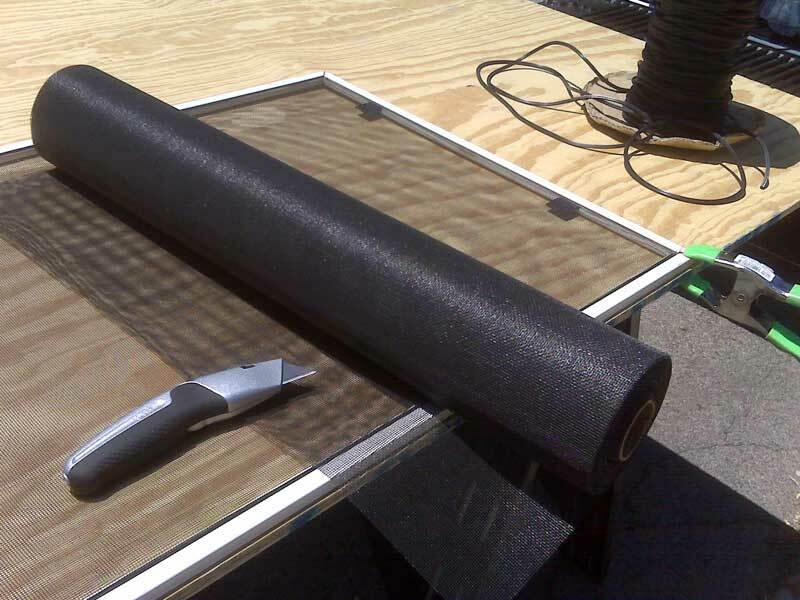 NOTE: Screen material and frames can be easily bent or creased, so be gentle! First, remove your screen from the window or door. If you’re cleaning multiple screens, label each screen so you remember where to re-install them later. For your cleaning solution, nothing works better than this mixture: add one cup of household ammonia and a tablespoon of liquid dish detergent to about three cups of water. We recommend placing the screen on a smooth, flat surface to help prevent damage to the screen while cleaning. Using a sponge or soft cloth, liberally apply the solution to your entire screen and scrub. You can use a soft scrub brush to gently remove any stubborn dirt. Flip the screen and repeat the process. Rinse with clean water. Soap residue acts as a dust magnet, so rinse thoroughly. Finally, gently shake your screen free of water and allow it to air-dry. Before you reinstall your screens, wipe down the grooves and window sill. Reinstall your screens and enjoy some fresh air! If you have holes or rips in your screens, you can repair them yourself with a screen repair kit (available at most hardware stores) or have them repaired by a skilled pro. Many small local hardware stores have someone on staff that repairs screens. 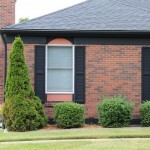 All black or dark-colored windows can add dimension and depth, while mixed finishes offer a more classic look. It’s one that can help set a window apart in a space and add a touch of statement-making drama to your room. As our friends at Marvin Windows like to say, “The new design rules are that there are no rules.” Using a black or dark colored sash will make your windows stand out, create some contrast and frame your view. Louisville is a traditional town, filled with many traditional homes. However, even in our town, today’s interior aesthetics are trending toward more modern looks. A black or dark window sash is a great way to mix a modern look into a traditional home. Grilles on glass and divided lites are still popular here. Don’t worry, this look still works. 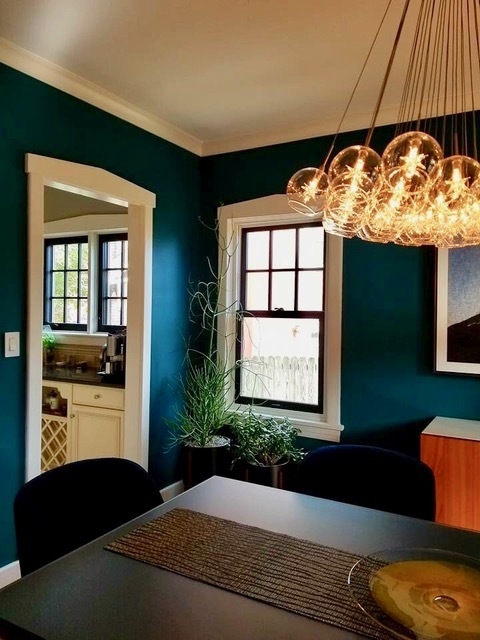 “Dark windows add a decorative element, almost like a piece of art. 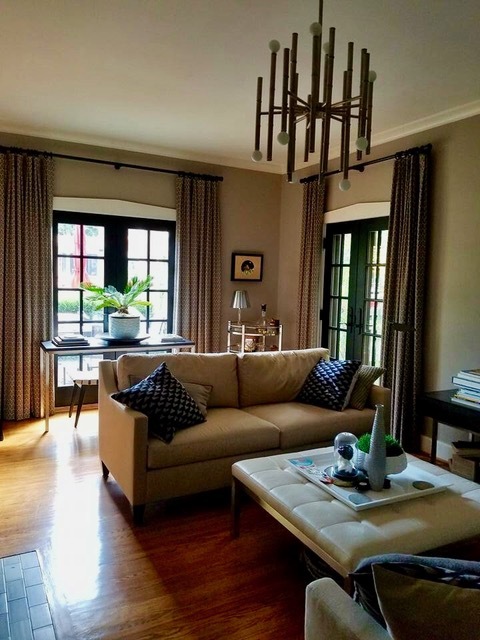 A dark window with white trim around it can enhance the beauty of a room,” says Lamontagne. Our windows come from our partners at Marvin Windows and Doors pre-finished, primed and painted, or stained and polyurethaned. This means there is little or no work required on your part to achieve this look. But, if for some reason you wish to change the look down the road, the interior of these windows are wood. So, it’s as easy as paint. 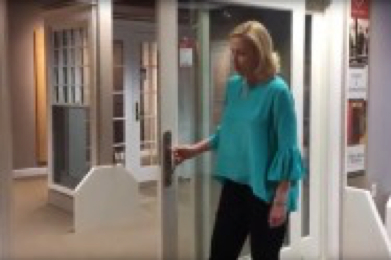 Remember, when you choose The Door Store and Windows as your design and installation partner, you are not just picking a window off of a shelf. 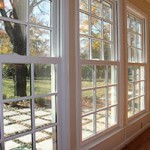 You are entrusting your windows to experts who will partner with you to provide direction and design expertise. We will help you decide which options are best for your home. So, if you haven’t already seen and fallen in love with this look, chances are that you will soon. When you do, give us a call! Did you enjoy reading this? We bet you’ll love our blog about how new windows can save you money on your power bill!